Luxury and phygital: a cultural shock? For decades, luxury has been a synonym of exclusivity, experience, personalization, discretion, tradition or human. With the arrival of the digital era, the original foundations of luxury have been disrupted. Digital is the synonym of democratization, accessibility, freedom of exchange and expression, trivialization. A revolution is in place, that goes against luxury houses’ culture. Always carried by innovation and pioneer in new communication trends, the luxury domain is given a great chance: create added value and transform its aging image. Brands cannot ignore the movement which is leading them towards more virtualized interactions with their customers. Even if they are willing to interact physically with luxury products, virtual experiences seem to be a more immediate gratification to them. In parallel with our exclusive trimestrial study Luxury & Digital (on demand), we decided to focus here on the ongoing revolution in luxury retail stores. Luxury houses often loose their identity. They lean towards modernity and technology, trying to adapt their image, adopting a new DNA. By changing what they are, they lose coherence. Therefore, they can be afraid of the idea that customers won’t find the emotional experience they expect whenever they enter in a historical store (for exemple Cartier’s boutique, rue de la Paix). What we like is human contact with a sales advisor, the privilege relationship that we get when we want to purchase something we covet. This is in opposition with the notion of technology, considered as “cold”, whereas stores and customer relation sounds like a “warm” notion. A brand can modernize itself while keeping its codes, its identity, remaining faithful to its origins and being coherent. It must consider technology as an ally, a sales support, a complementary canal which allows brands to live in their time, to answer to customers’ expectations and make the experience even more unique. In an era where digital occupies a very important place, new technologies are numerous, complex and at the core of several controversies. Houses can incorporate digital in their process and strategy, but they can’t leave physical experience behind. It can be associated with digital, both of them being in osmosis, in order to better understand new consumers. Furthermore, digital represents an important investment for luxury houses, but it also has great potential for communication within brands. It is necessary to innovate, to remain creative so as to seduce customers, but while maintaining the inshore experience that incarnates the “soul” of a brand. 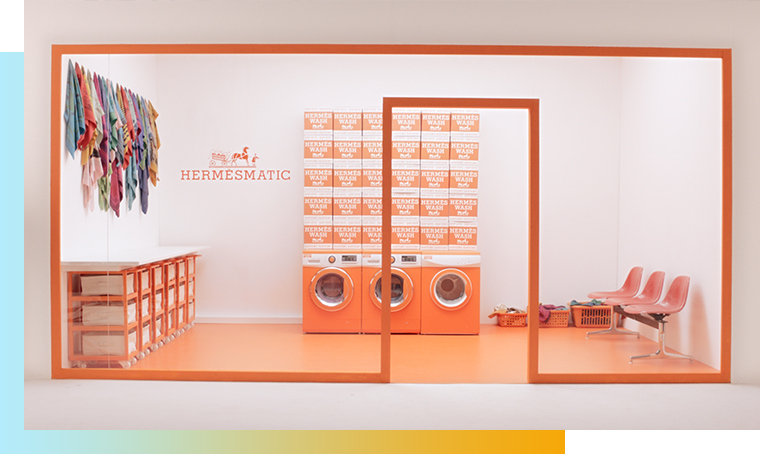 – Hermes’ pop-up store, Hermesmatic, to recycle one’s Hermès scarf, relied on an exclusively digital communication, but also a very physical experience, according to the brand’s sense of poetry. 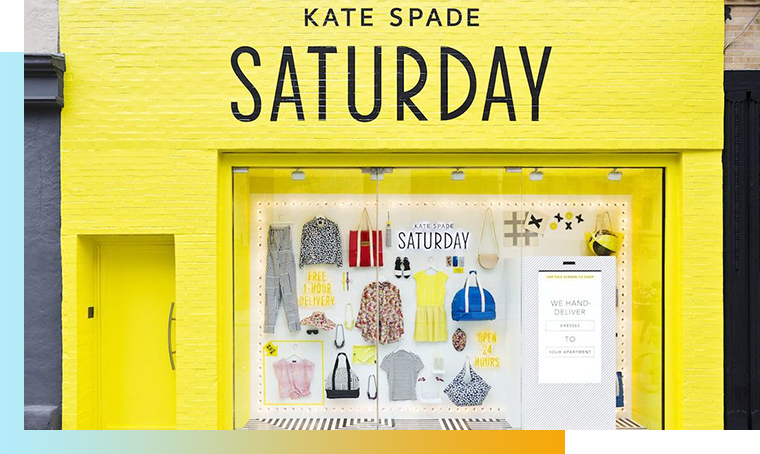 – Kate Spade with its “connected shop window” allowed a one hour purchase and delivery, in a way that was definitely truthful to the brand’s spirit. 60% of the 18-24 y.o. 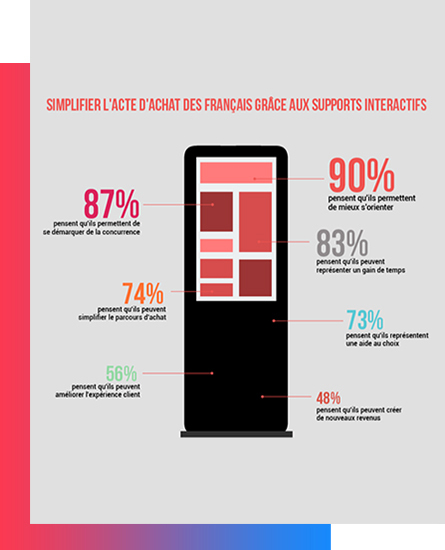 want to shop in stores where they can do other things than shopping (from the Havas Shopper Observer study and infographic : L’humain et l’expérience au coeur du commerce de demain, December 2017). Digital seduces and finds its place among numerous brands who see an opportunity to seize and many customers to reach. The future consumers belong to the Y generation: buying power, a love for mixing styles and famous names, the Millenials are, above all things, in search for freedom. They like to improvise and live to the day, getting rid of strict codes and more importantly, purchase differently. Therefore, they expect to find communication devices in stores (smartphone, tablet, virtual reality), just like at home, in order to make the experience richer. 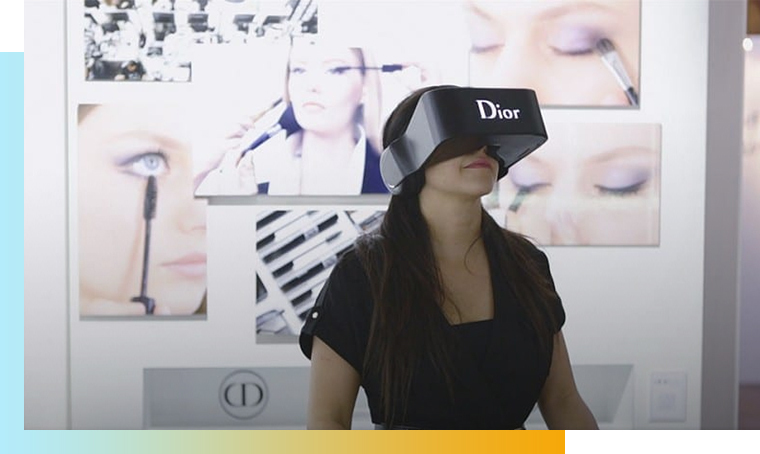 For example, Dior Eyes, virtual reality helmet, allowed customers to see the last fashion show’s “behind the scenes”. Millenials are not the only ones to compare purchases in stores, to scan QR codes and to send pictures to their friends, asking for their opinion: this is why joining the digital race is crucial. Nowadays, the quality of personalized experiences represents a notion that’s determining in the matter of developing a brand’s reputation or gaining market shares. Luxury brands customers wish for the sales advisors to give them an exceptional welcome and an unforgettable experience carried by more and more innovative services. Setting up digitalized spaces, like Atelier Fred’s interactive table dedicated to its iconic Force 10 bracelet, allows brands to enrich the in-store experience. Customers are autonomous when customizing the jewel, while being assisted by the store’s employees. In that way, the house keeps its identity thanks to a luxury high service. 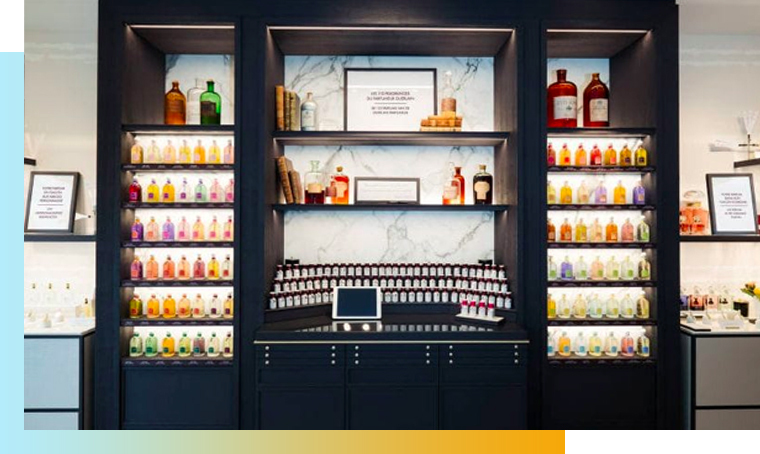 Following the same logic, we can mention the ultra customization in-store experience by Guerlain, which allowed customers to determine their olfactory profile and to create their own perfume since they had access to 110 different smells, divided into four large olfactory families. Sephora understood the challenge of omnichannel communication and offers an online and mobile range of products, creating a rich and engaging customer experience. For example with My Beauty Mag, a digital shopping list which adds a wishlist to the customer’s online and in-store purchases. But also with mobile apps (Pocket contour or Sephora Virtual Artist) that allow virtual reality via screens that can be found in the brand’s stores. 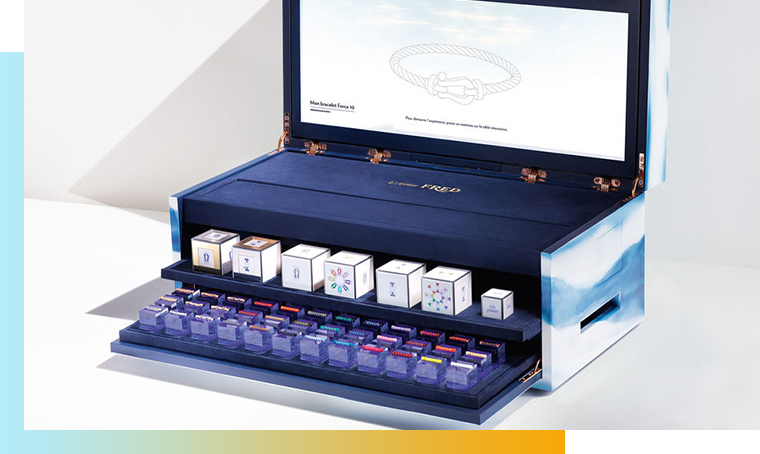 On the other hand, LVMH’s interest in retail stores digitalization is illustrated by its investment in full digital start-ups, like Memomi Mirror, an augmented reality in-store digital screen, which allows the customer to try on a product and visualize the result in every color available. This proves that physical revolution is on the way to last in luxury houses. Luxury and digitalized store: an efficient partnership? In the digital era and in a mutating society, the debate on technology is far from over. The turn has been taken bu many brands who integrated these transformations in their strategies. With multiple digital transformations and cross-channel, the research on customer experience is becoming more and more precise. The technologies but also the data are part of the resources used to remedy these mutations. 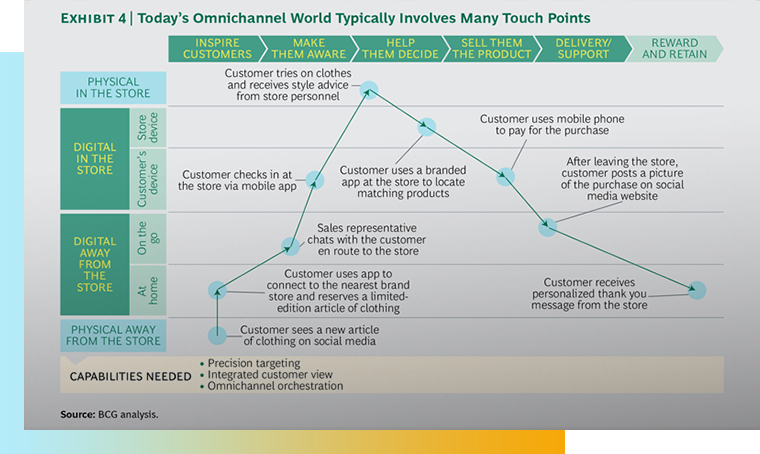 Cross-checking informations between in-store purchase and e-commerce has become essential. Indeed, the omni-channel communication strategies that luxury brands are facing mean more contact between the brand and its customer, which makes the purchasing process more variable and individualized.